The first of a total of three case study researches started this year with the handover of the so-called “cargoSurfer” to the project partners. The electric blower wheels were designed together with the F&A Manufacture and are to be tested as an alternative to conventional means of transport for urban areas. The wheels allow flexible adjustment of the loading area and can be used for a variety of different transport purposes and industries. As part of the case study, 21 offices and factory halls at Dortmund Airport will be supplied with equipment, spare parts and tools. 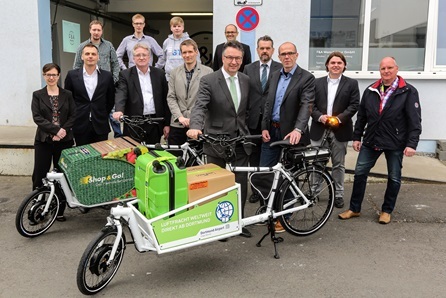 A second cargoSurfer is used by the PIA Foundation (Mülheim/Ruhr) to supply households with consumer goods, especially food. The research consortium headed by the Institute of Transport Logistics will be responsible for data collection in the fields of environment, costs, performance and quality as well as image. This enables a comprehensive comparison of e-wheel and passenger car under different operating conditions. Based on these findings, the potential of e-load wheels for supplying production sites close to the city can be determined for the research project and application possibilities and limits can be derived. In this way, (electro-)logistic concepts and measures to increase the integration capability and efficiency of production sites close to the city can be developed in order to realize the Urban Factory. 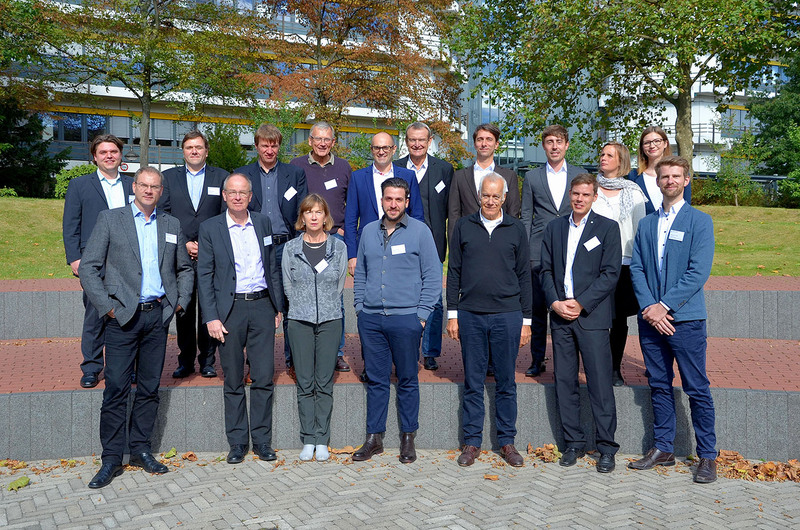 The advisory board of the Urban Factory research project met for the third time on 05.10.2016. 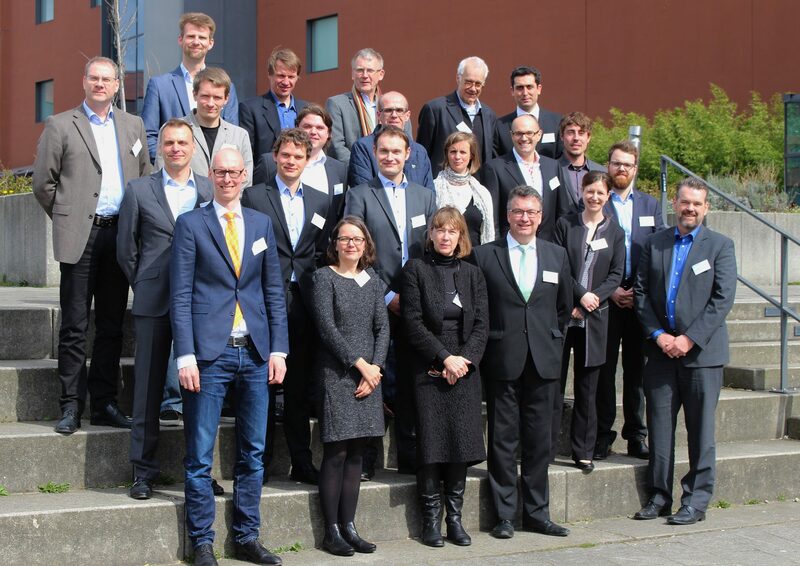 At the meeting at the University of Duisburg-Essen, representatives of city, industry and research analysed and discussed ways of resource-efficient integration of production sites into urban space. After a review of the last advisory board meeting and a report on the current state of research, the basic conditions and trends underlying the research project were presented. Speeches by Dr. Gerrit Posselt about the Battery LabFactory Braunschweig and Volker Langer about Tapping Measuring Technology in Siegen gave the attendees a closer look at the case studies. In addition, the Advisory Board addressed another central question of the project. In an enriching exchange of knowledge between the participating institutes, the research partners and the members of the advisory board identified potential actors that could be important for urban productions. After analysing the stakeholders (including residents, employees, companies and municipalities) and their interrelationships with each other, the advisory board discussed potential strategies for successfully integrating factories into the city in a resource-efficient and sparing way. The different perspectives of representatives of the city, industry and research take into account the interdisciplinary demands of this project. In addition, the meeting of the advisory board made an important contribution through this communication exchange and knowledge transfer to ensure the connectivity and transferability of the results of the research project into urban and entrepreneurial practice. In September 2017 the 1st Braunschweiger HoloHack took place at the Technical University of Braunschweig. Student teams from all over Germany competed against each other and developed mixed reality applications for the city of the future and the production of the future in 24 hours. The importance of visualization, communication and collaboration in these areas was obvious. The five applications developed represent innovative solutions that can be applied in the context of urban factories. The connection between factory and city was particularly sought in two applications: Q. BE allows to close building gaps and derelict areas in cities with holographic ideas and suggestions in a playful way. In EmVis it is possible to walk through a digital, scaled-down model of a city and move through inter-atkive representations of different data such as noise maps. As part of the opening week of the TU Braunschweig’s new research priority “City of the Future” the kickoff of the Urban Factory research project will take place on 17 November 2015. In addition to numerous public lectures and events on the action topic, Prof. Dr. -Ing. Christoph Herrmann from the Institute for Sustainable Production & Life Cycle Engineering will give the official starting signal for the project. The topic of his presentation will be the “Positive Impact Factory – Vision for Sustainable Production of the Future in the Urban Environment”. Interested listeners are cordially invited to join in the discussion after the lecture.